Finding great value stocks is no mean feat. When Buffett and Munger started Berkshire Hathaway, the competitive landscape of value stock pickers was nowhere near as fierce as it is these days. Finding undervalued companies may not have been as easy as shooting ducks in a barrel but fewer rivals scooped up bargains and the 24-hour financial news networks coverage didn’t exist to spotlight when stocks were on sale. Every value stock investor is challenged to source good ideas before they become well known. But how do you get ahead of the curve when teams of analysts at billion dollar value funds are scouring SEC filings and 13Fs night and day? Hidden Value Stocks is a newsletter publication with a difference. By leveraging its vast network of contacts in the hedge fund world, the team at HiddenValueStocks.com provides unique access to value stock ideas from professional hedge fund managers. This is not your average run-of-the-mill stock picking website or financial publication. At Hidden Value Stocks, the veil is lifted on a world few casual investors ever get to see, and small cap ideas that would likely otherwise remain undiscovered are shared in a timely fashion. Plus, stock reports are chockful of analysis so you can have more confidence in the investment theses. 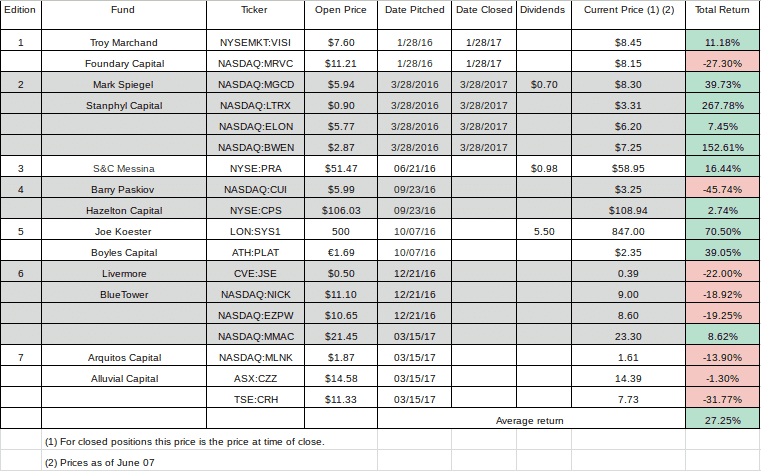 What Is Hidden Value Stocks? Why Hidden Value Stocks Is Different? Why Would Hedge Fund Managers Share Stock Picks? Hidden Value Stocks is a subscription financial newsletter publication that was born from investor demand for small cap stock ideas that hadn’t yet made headlines nor were featured on the traditional financial news networks, nor sites like SumZero and SeekingAlpha. The idea behind the newsletter publication is to find hidden stock gems (from professional hedge fund managers) that lie like diamonds in the rough, undiscovered yet full of potential value. The focus is on companies that have market capitalizations in the range of $50 million to $2 billion, enjoy high levels of liquidity and stock picks are generally long (vs. short stock ideas) with little analyst coverage on Wall Street. The average value stock investor has their work cut out for them separating the wheat from the chaff. The barrier to entry is low for a stock picker to create a website and share stock ideas and a vast array of financial blogs compete for newsletter subscribers, often by touting unsustainably high percentage returns over short time periods. Often the stock picks are supported by little or no quantitative analysis, so absent a solid performance track record, it is hard to be confident of their merit. By contrast, HiddenValueStocks.com stands out from the pack. This isn’t some fly-by-night operation started by some unknown amatuer stock picker. Instead, it is a website owned and operated by VALUEWALK, LLC which has earned one of the best reputations in the financial industry for delivering quality content, in-depth analysis, and counts among its readership a long list of distinguished investors. With millions of monthly visits, ValueWalk has earned its stripes and reputation as THE destination online for serious value investors. As an aside, ValueWalk is a play on words on the better known concept of Random Walk. Random Walk Theory postulates that stock price changes have the same distribution and are independent of each other so historical price movements cannot be used to predict future price movement. The ValueWalk team believes this concept is partially true but has a core belief that value investing can outperform the market. Over the years, the team at ValueWalk, including founder and CEO, Jacob Wolinsky, have built an extensive network of contacts in the hedge fund industry. It is this prized network that elevates Hidden Value Stocks above most other newsletter publications because ideas from hedge fund managers, which would otherwise remain hidden, are surfaced and revealed to value investors. Professional investors will know well how stringent reporting requirements are for money managers in the financial industry. Equally, casual investors will undoubtedly have come across financial newsletter publications that spotlight favorable returns and have swept a few losers under the carpet in an effort to polish performance track records. Those ethically questionable actions have tarnished the reputation of many financial newsletters and justifiably engender skepticism among prospective subscribers. A check mark for Hidden Value Stocks is that reporting transparency is front and center. As a conduit of value stock ideas between hedge funds and readers, Hidden Value Stocks doesn’t have the inherent conflict of most other publications. For example, if JoesFinancialNewsletter launches with stock picks issued by Joe, it is very much in Joe’s interest for those picks to work out well. The success of his picks is a direct reflection on Joe’s ability to find winners. By contrast, the team at Hidden Value Stocks aren’t issuing their own recommendations, but rather sharing ideas from professional hedge fund managers. Reporting transparency is the hallmark of trust in a financial publication and Hidden Value Stocks shares its track record as-is. Looking at past results, Hidden Value Stocks has its fair share of big winners and has no qualms about reporting losers too – a fact that should engender confidence among subscribers. You want to see the full list of results, warts and all. 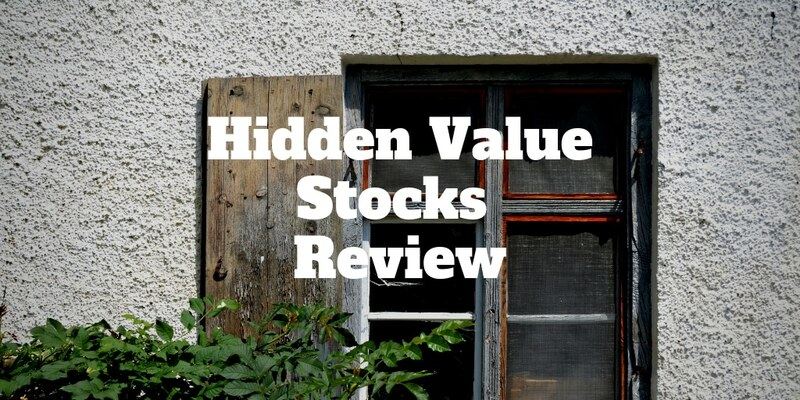 And so far Hidden Value Stocks has a track record that is the envy of many professional and casual investors alike with an average return that even Buffett might envy. Success in value investing comes down to having an edge. The edge might come in the form of a top notch team of investment analysts or some other resource, such as capital to conduct extensive research on investment ideas. After spending so much time, effort, and capital in uncovering investment opportunities, why would professional hedge fund managers be willing to share them with investors? For hedge fund managers, the opportunity is alluring to shine a light on underrated stocks and share their big ideas, build solid exposure and grow their brands in front a vetted audience of real investors. It should be emphasized Hidden Value Stocks earns no compensation from stock picks, only from newsletter subscription revenues. And exclusivity is inherent to the newsletter publication because hedge fund managers only share stock ideas via the Hidden Value Stocks paid newsletter. For investors, Hidden Value Stocks is compelling because of the potential to spot investment opportunities before they are well known. Plus, investors get to know up and coming hedge fund managers, as well as peer over the shoulders of fund managers with existing strong track records to see their top stock picks. ✅ Low Cost: At $349.99 annually, Hidden Value Stocks has a price tag in line with rival financial publications but arguably has a richer source of high quality content and ideas. ❌ User Interface: As a new site, the user interface lacks some polish and the user experience is not exactly Apple-like in its simplicity. The Login button is surrounded by other buttons in the center panel, which could cause confusion for new users as they fumble about for the first time trying to figure out how to access the website. ✅ Reporting Transparency: Winners and losers are shared with 100% transparency so that you get to see which stock picks worked well and which ones fell shy of expectations, providing you confidence in the integrity of the service. ❌ Limited Track Record: Hidden Value Stocks lacks the extensive track record of performance results that a new user might ideally want to see but we wouldn’t count that as a big red mark given how young the service is. ✅ Top Quality Stock Picks: Unlike most financial publications who issue their own stock picks, Hidden Value Stocks is an information conduit that shares stock ideas from professional hedge fund managers. Each stock pick is backed up by an investment thesis and analysis. ✅ Free Trial and Content: Hidden Value Stocks offers a free 7-day trial so you can check out the whole site without limit at no cost plus non-members can enjoy a bunch of high quality free content on the main website. Hidden Value Stocks is not your ordinary value stock picking subscription newsletter publication. The publication is owned and operated by the renowned VALUEWALK, LLC company (dba ValueWalk.com) and essentially crowdsources top stock ideas from professional hedge fund managers, who get to build their reputations among a vetted community of serious investors. The price point is in line with industry averages and we give extra brownie points for reporting transparency, which engenders trust among subscribers. With a free 7-day trial that provides full website access, there is really no reason for any serious investor not to give Hidden Value Stocks a shot at earning their business.